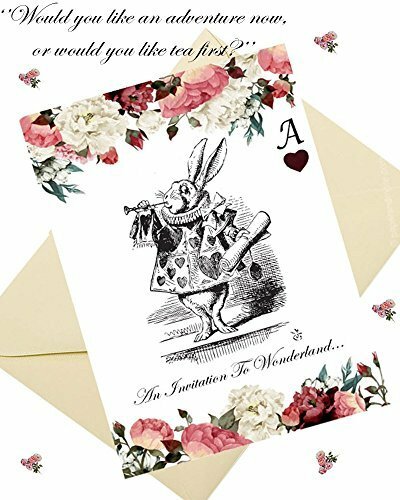 Set of 6 Alice in Wonderland invitations with envelopes. 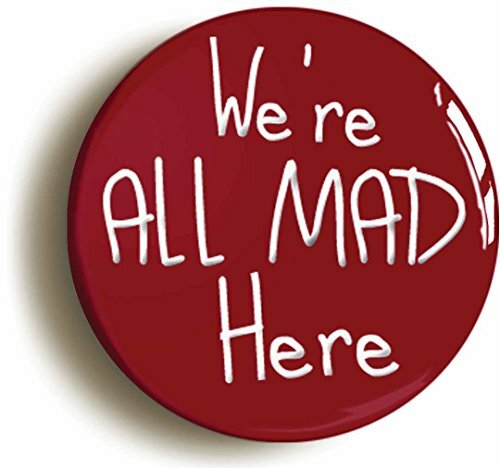 Size A6. 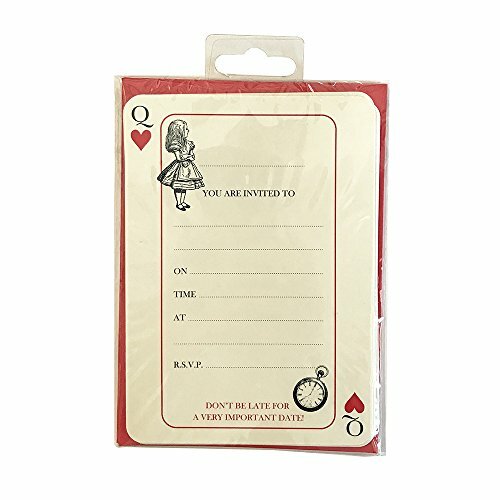 On the front it says 'Don't be late for a very important date' with an image of the white rabbit and red hearts. 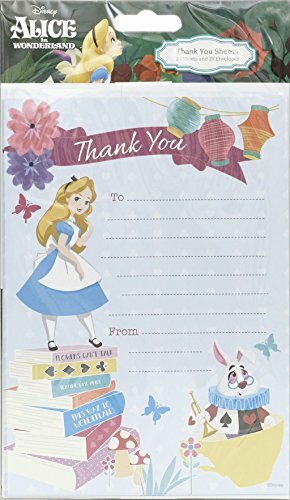 On the back there is space to write the details of the party. 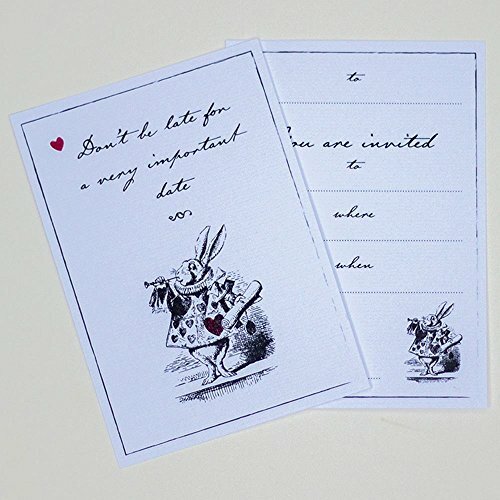 Invite your guests to your Alice themed party or celebration with this set of 6 invitations. 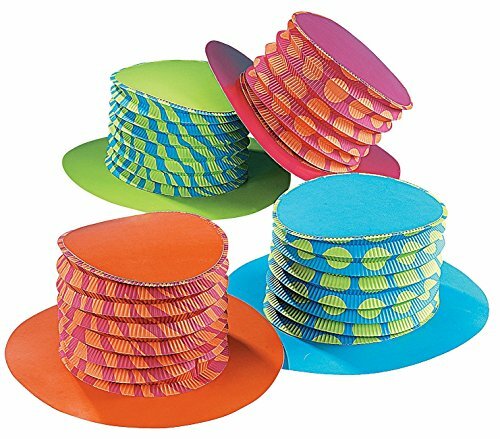 Printed on both sides on a high quality textured card. 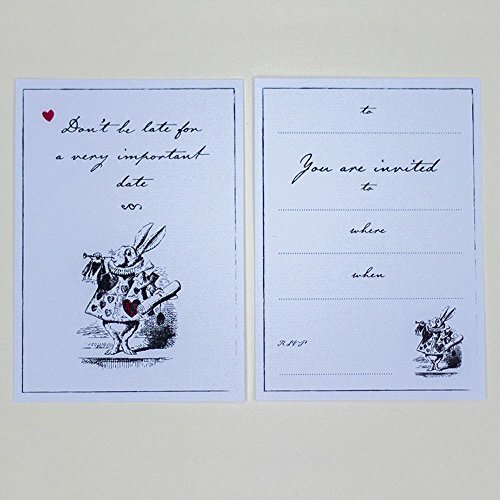 On the front it has the wording ‘Don’t be late for a very important date’ with an image of the white rabbit and red hearts. 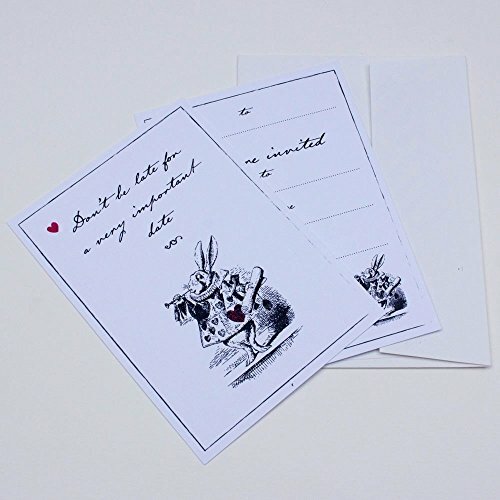 On the reverse of the invite it has space to write, to, where, when and rsvp details. 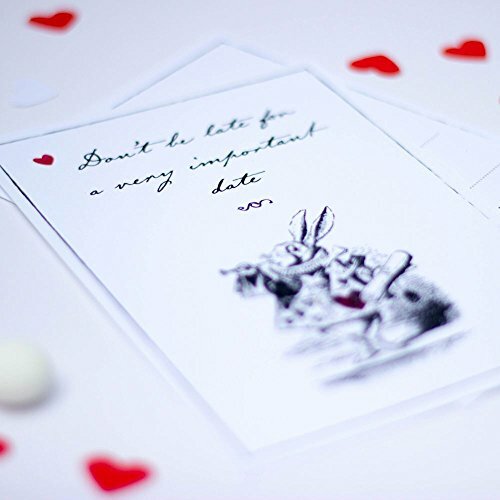 The card measures approx 105 x 148 mm (A6 size) and comes with an envelope to send your card in. 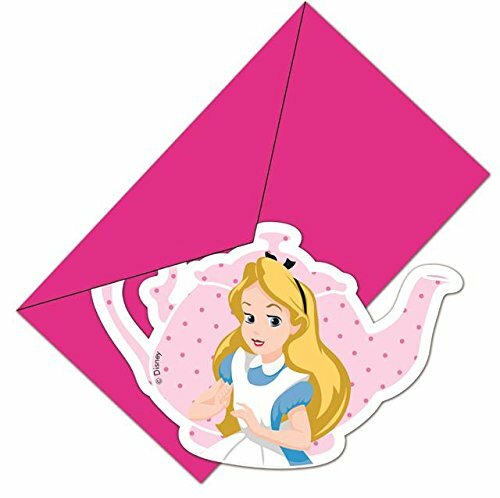 Alice in Wonderland Birthday party invitation cards and evelopes.